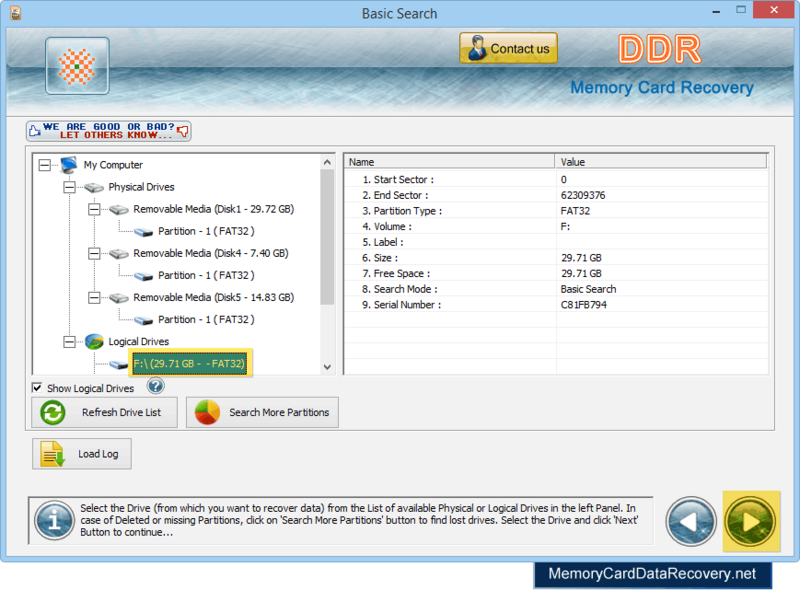 In Order to recover deleted data, first you should connect your memory card with computer system. 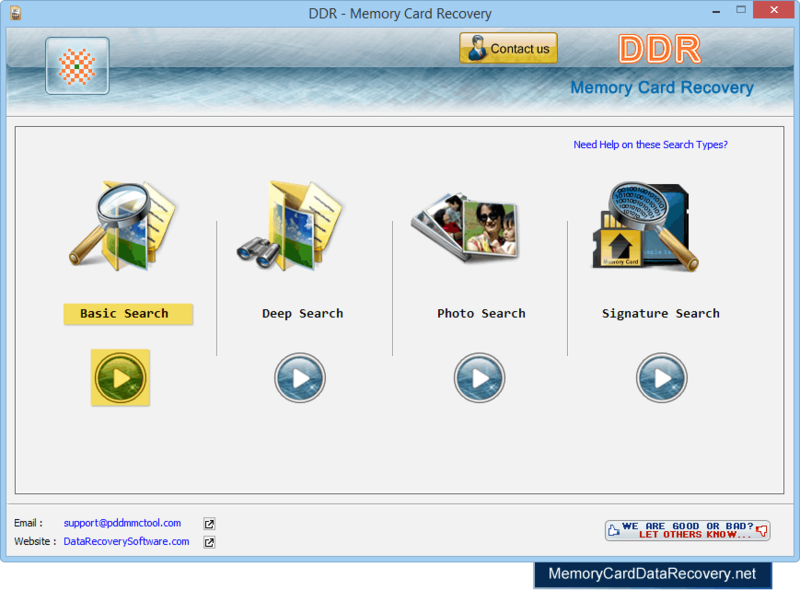 Then start recovery process. 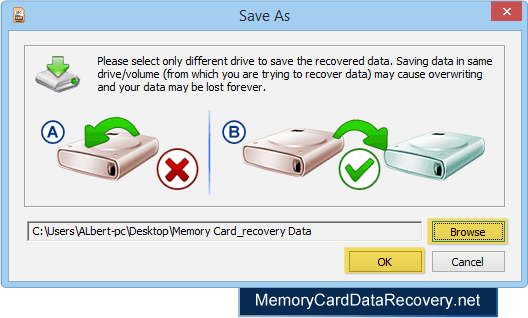 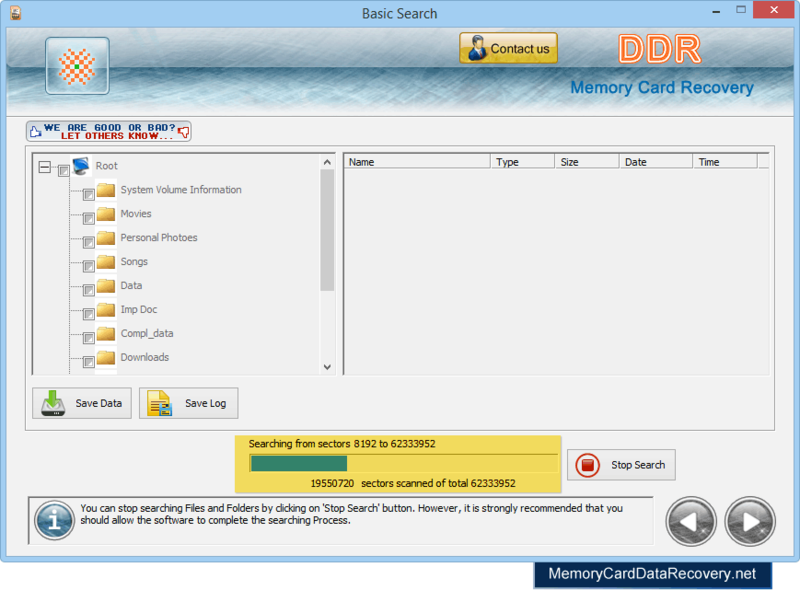 In the page, we will discuss how to recover files from memory card using Basic Search recovery mode. 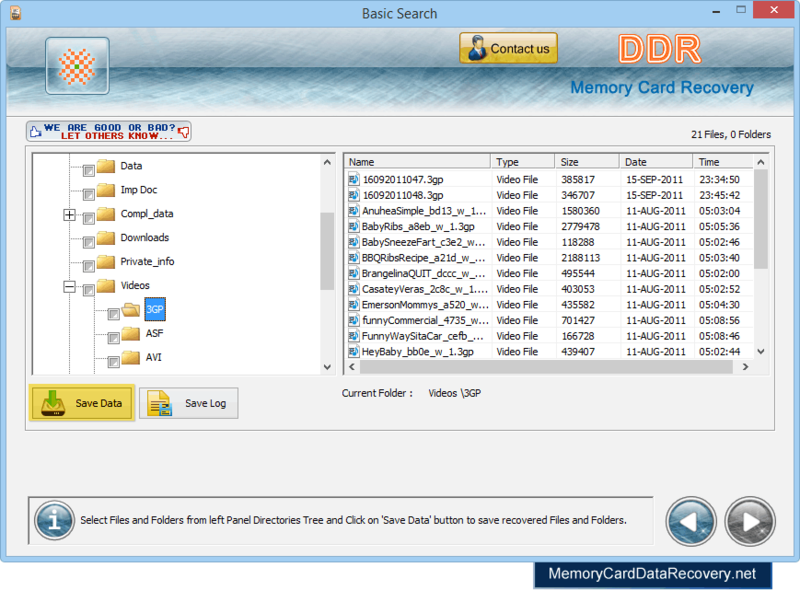 Select the folders from Left Panel Directories Tree and click on "Save Data" button in Toolbar or right click to save recovered files and folders.